It’s time to drop a few heat seeking missiles. Bombs away. 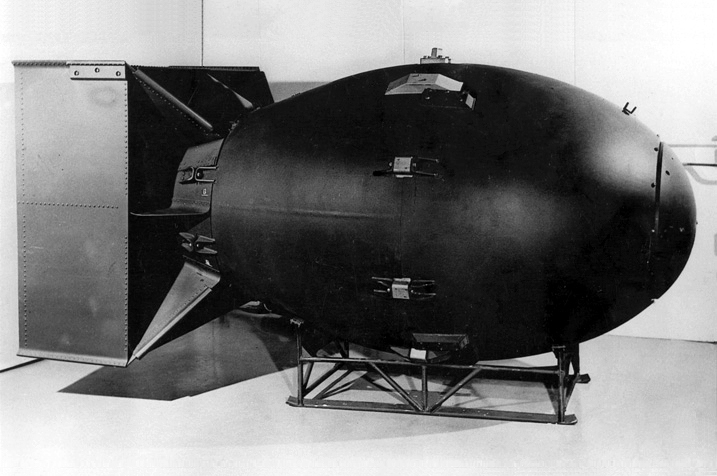 The “Fat Man” bomb is perfect … because his record is certainly radioactive. A campaign totally based on distractions is what you get when a candidate can’t run on a record of accomplishments. And you know you’re directly over the target when you get the most flak! Wake up, America. This Obama character is destroying our nation. Thank you my friend, for the your wisdom and inspiration behind this toon. The plane is a B29. The bomb is Fatman. Ah, but my favorite is missing: Romney is either a felon or the biggest deceitful lying liar in the history of the world……take your pick…. This is a tremendous opportunity for the GOP: point out all the missed flak that’s now coming back down to earth to explode. The dropping of the truth “bomb” which triggers the Dem/Dim “ack-ack” counterattack brings to mind a juxtaposing image of Libs playing the parts of the initially-successful and overly-confident invaders in the “Mars Attacks!” movie who eventually ran around, staggering to and fro, shouting “Ack! Ack!” as their heads exploded — this time it’s happening whenever Obama’s “record” is played over and over. I’m really liking the political cartoons. Keep them coming.